Comfortable and family-friendly – this is what holiday-makers associate the Schlick 2000 skiing and hiking centre with. That is mainly owed to the multi-faceted offer of quaint huts and retreats in the hiking and skiing area at the foot of the Kalkkögel. 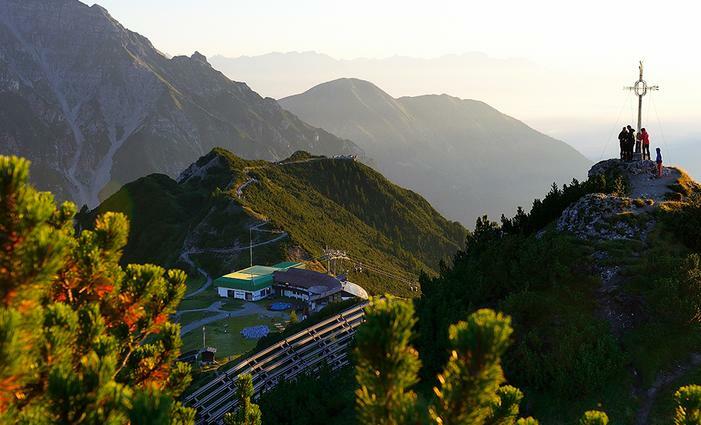 In summer the extensive hiking trail network leads to traditionally managed huts and alpine restaurants. When skiing, sports fans warm themselves with Jagatee and traditional food! Located directly at the cable car mountain station. Fascinating panoramic view – free sun loungers and deck chairs for relaxing! From 01.07.2018, on Sundays (11.30 am – 1.30 pm) there will be live music whatever the weather + BBQ with spareribs. With waiter service on the new, large sun terrace! Everything here is homemade: strudel, cake, bread, Kaiserschmarrn pancakes, dumplings, pine schnapps, marmalade and much more. As well as this: a new, large adventure playground. 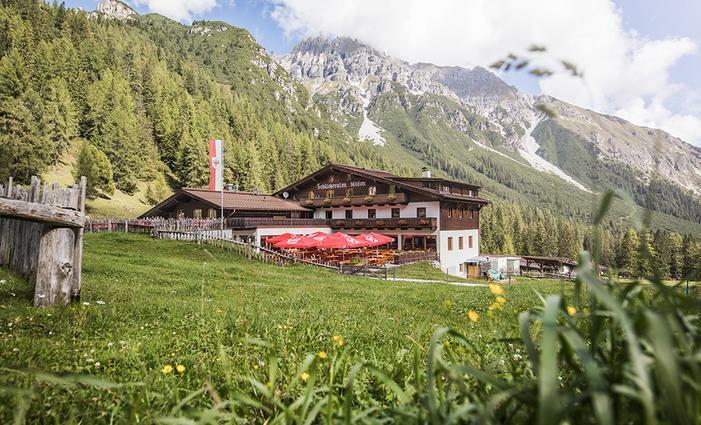 Accessible via the educational nature trail or the adventure trail, Stubai specialties as well as many products from their own alpine dairy. New infant playground and exciting ‘Kitz-Alm’ (Kid’s Alp), children’s playground, hut taxi, rooms with shower / WC. Video on our homepage. The Alm is a traditional family-run business. Many dishes are sourced from their own farm. 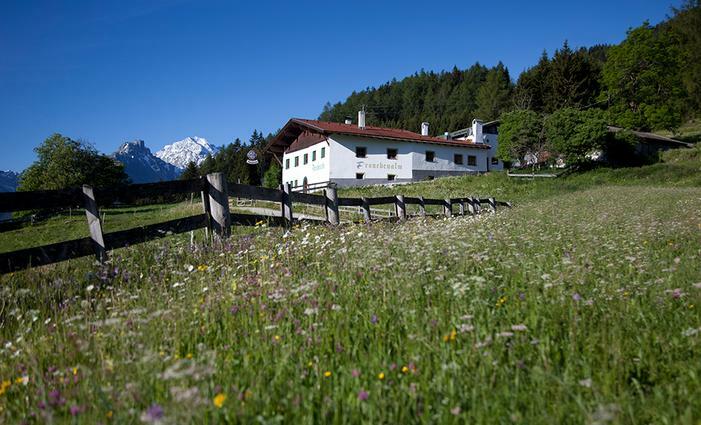 Sun terrace, mountain panorama, comfortable rooms and excellent Tyrolean food await you! Located directly at the valley descent and also open on toboggan evenings! 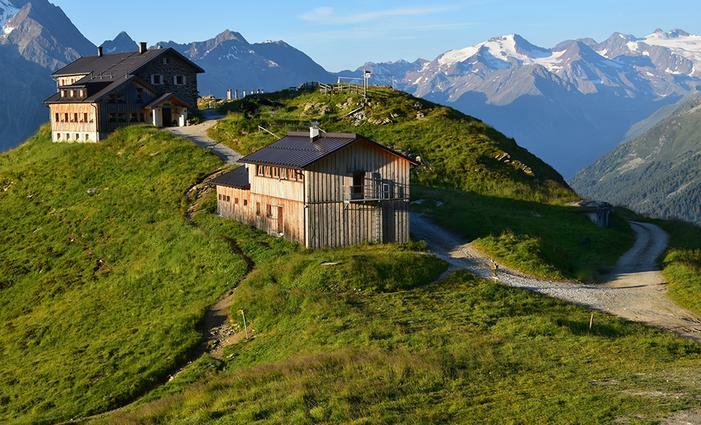 Quaint alpine association hut with a magnificent panorama, accessible in approx. 1.5 - 2 hours from the Kreuzjoch mountain station. Our specialities: 2 spinach dumplings with mixed salad! Karin and Martin look forward to your visit! Easily accessible on the Baumhausweg (tree house trail), which is suitable for pushchairs, from the middle station or via the forest path from the valley station - great for bikers too! 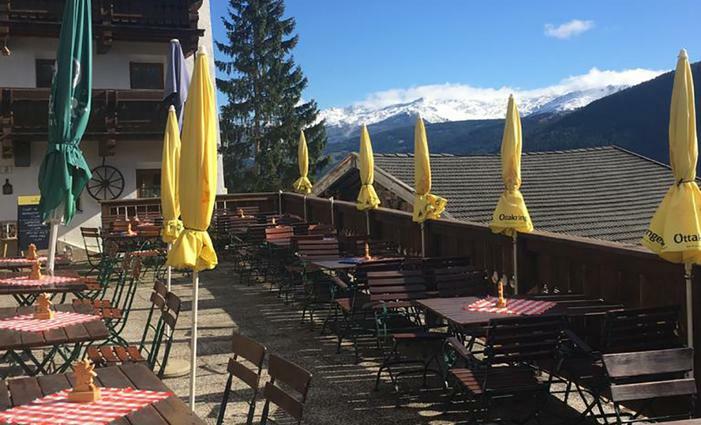 Large sun terrace with incredible views over the Stubai Valley. Enjoy the Stubai with regional produce: Tyrolean grey cheese, bacon, bread, buttermilk and much more. Chalet stays available on request!